This game is based on a model, the “infect-protect-defect” game, that we published in the Journal of Theoretical Biology. In the background is an image from the output of that model. The game model applies well to an infection spreading to neighbors through sneezing, but can be prevented by covering, with hands or a mask. 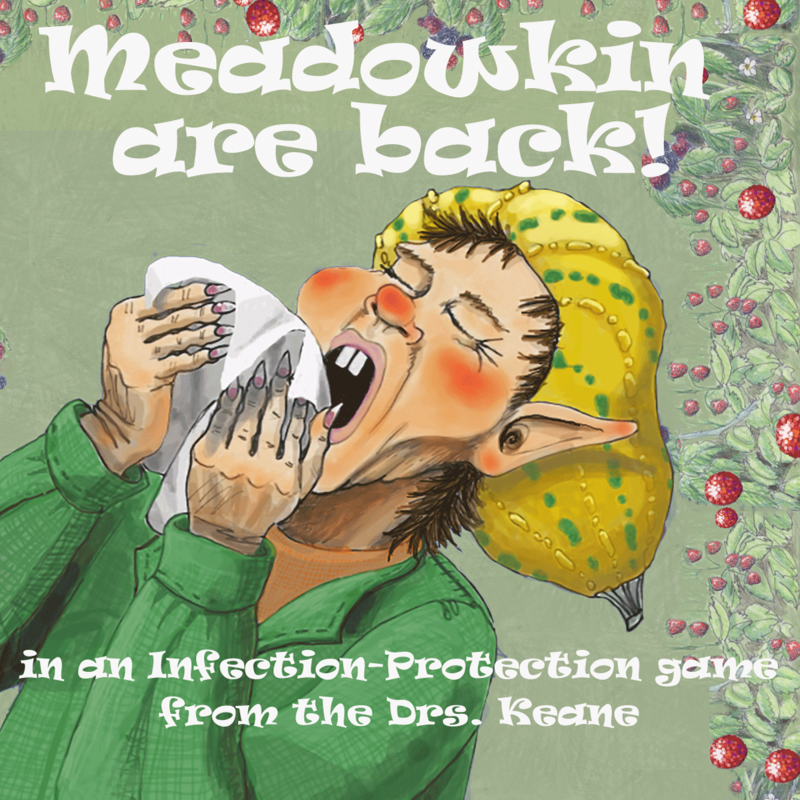 Infection is spreading through the Meadowkin. They sneeze. Some cover, some don’t.